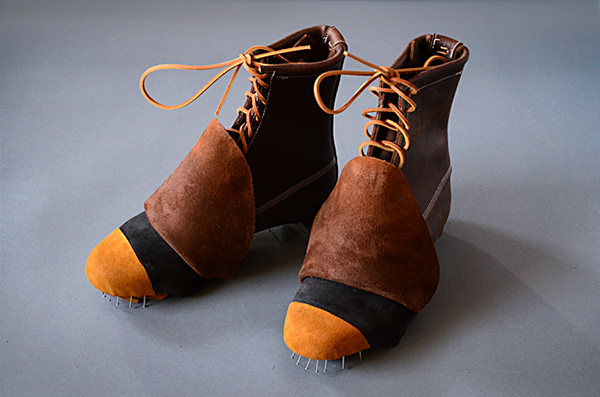 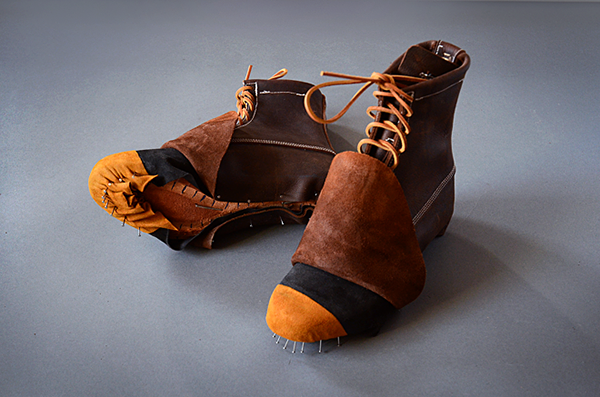 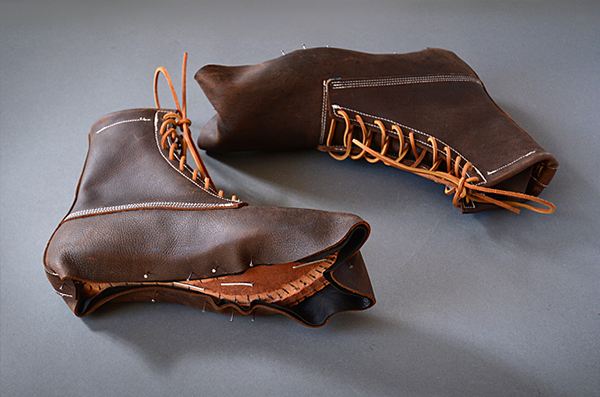 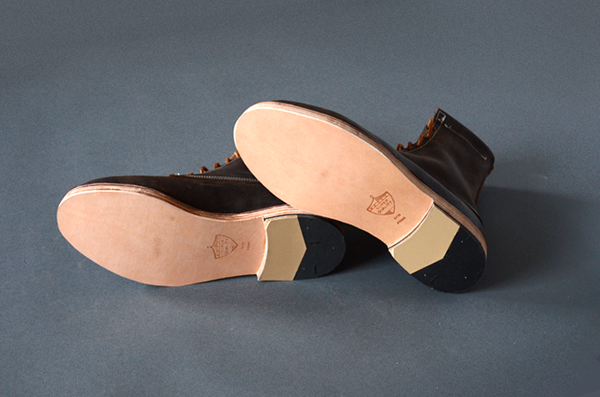 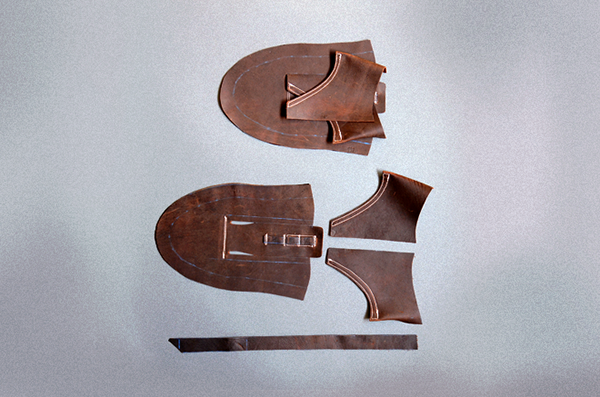 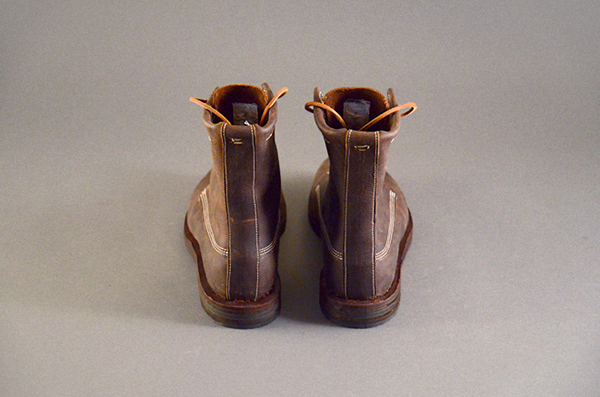 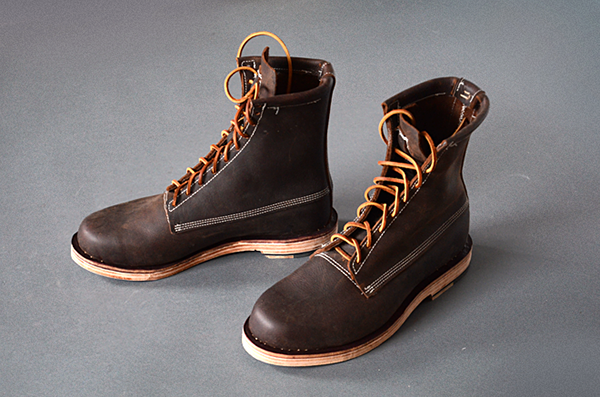 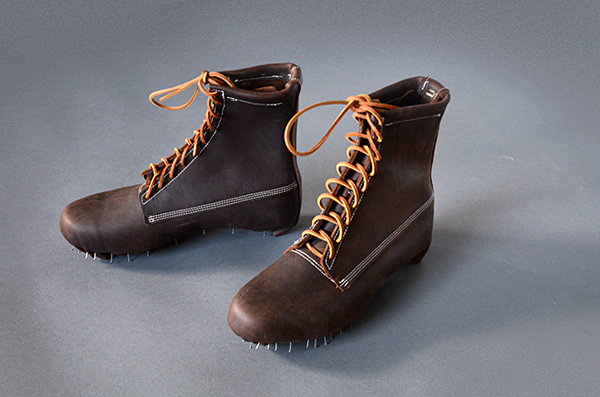 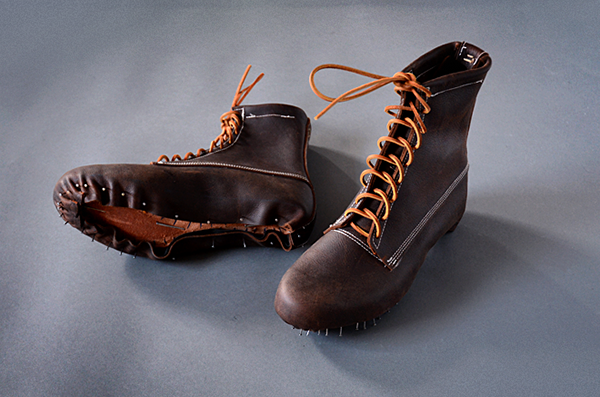 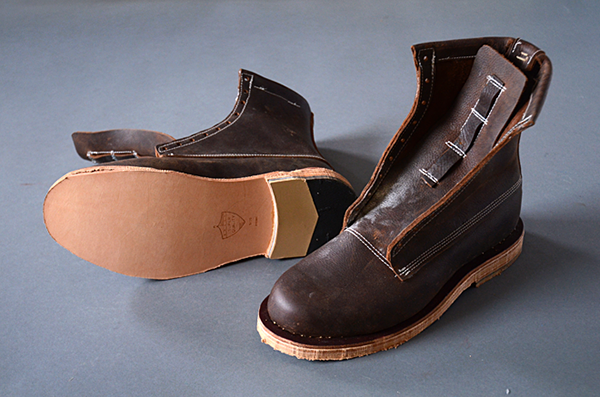 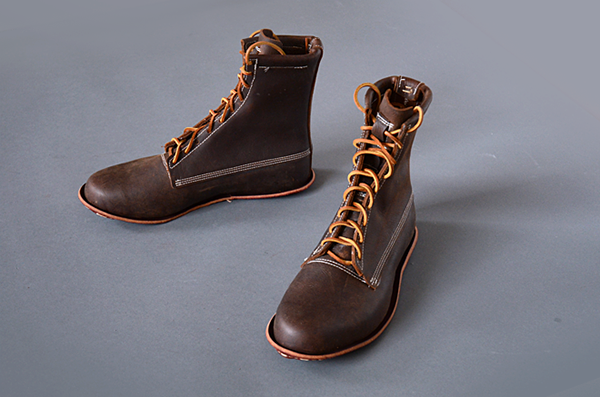 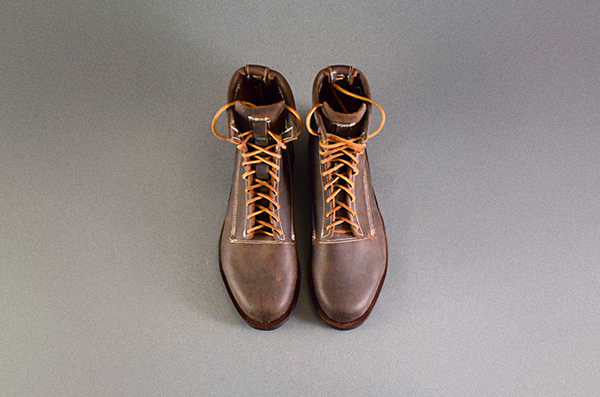 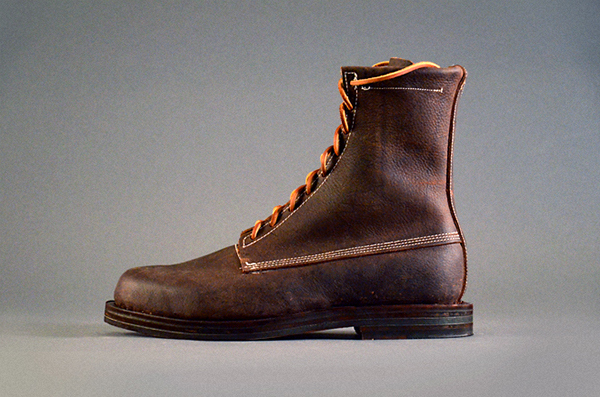 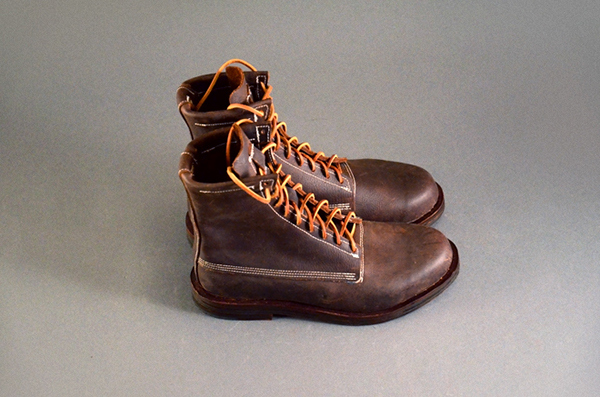 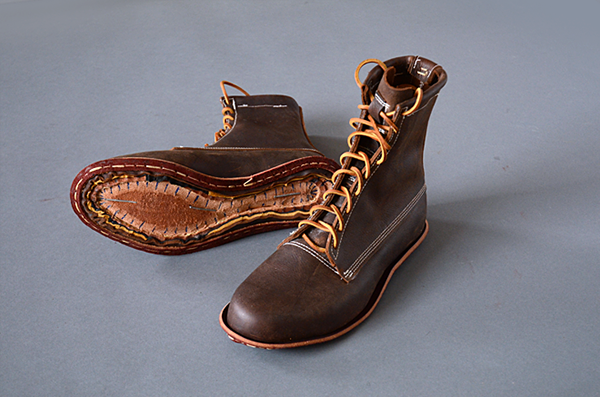 This pair of 8 inch Boots combats all the shortcomings of the previous designs. 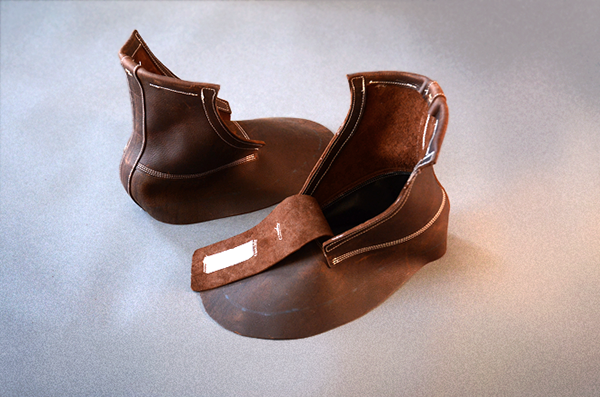 The last (form) used was re-shaped more properly this time to accommodate my foot width more appropriately. 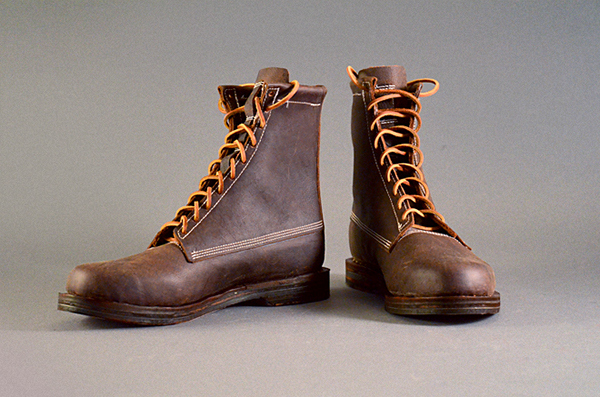 Previous boots made at the wrong width would cause uneven tread wear as well as calf pain later in the boots life once it fully broke in. 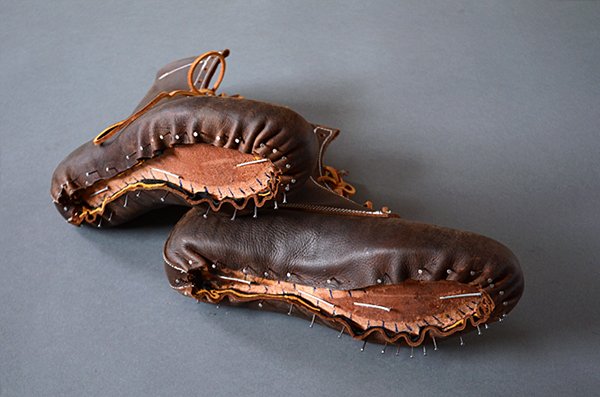 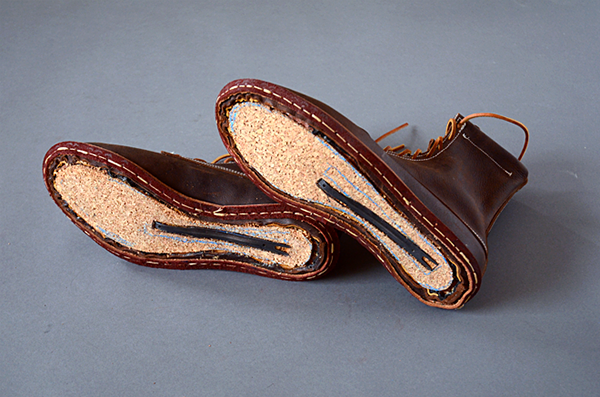 Proper steel shank and fitted cork bed allows for a long lasting sole that will not collapse over time. 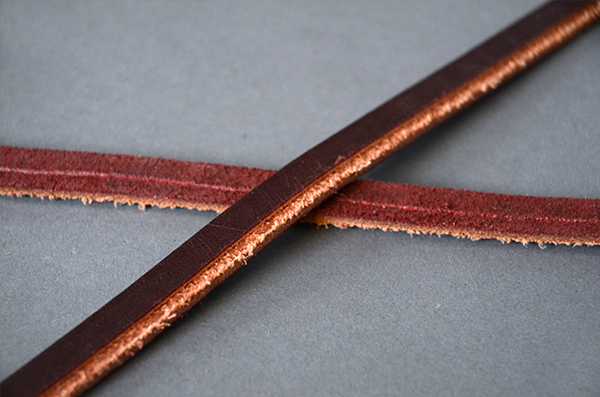 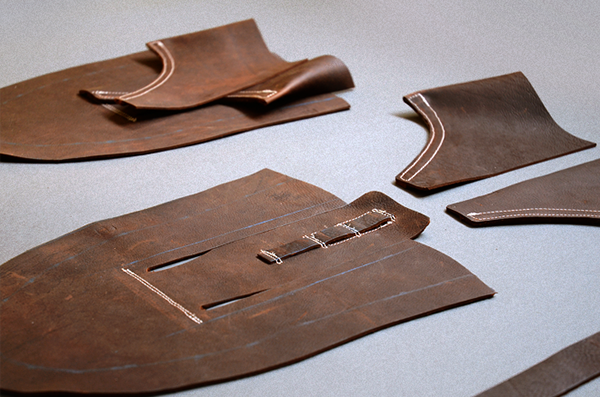 Oilier and thicker leather is used for a more weather resistant product. 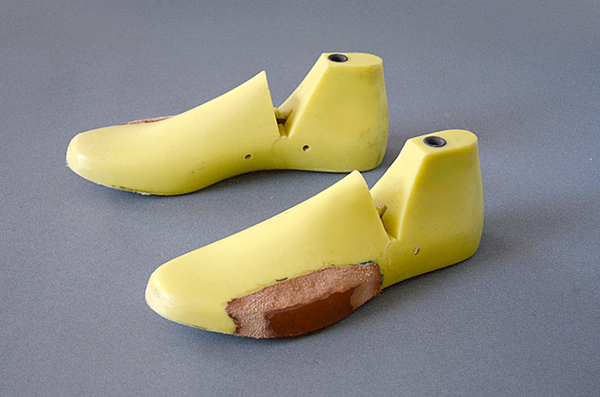 EVA Tight-Bond II® is used for Toebox, heel-cup, and side counters for a more weather resilient reinforcement as well as having a flexible amount of creep to allow leather to move. 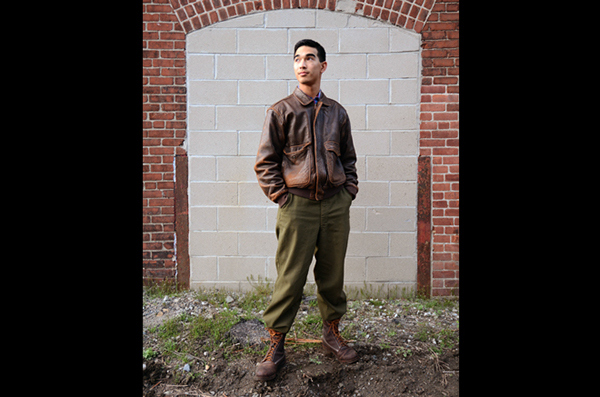 Tex-69 Polyester thread is used for a more long lasting stitch than the previously used Kevlar thread due to its significant UV resistance. 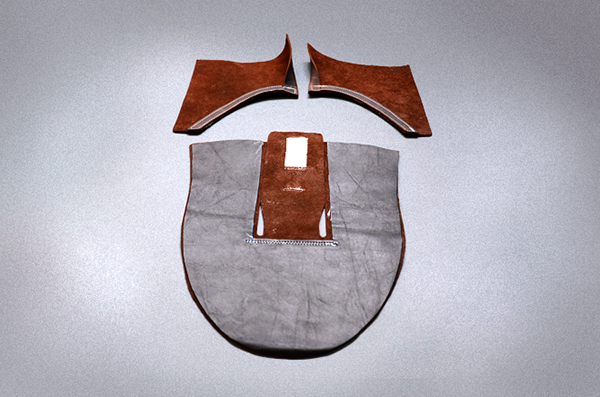 Kevlar's structure would be compromised by too much UV exposure over a year. 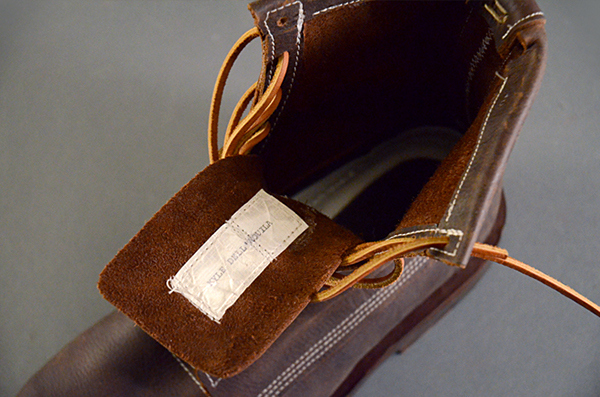 Polyester can experience much more sunlight over a span of 5 years to experience similar degradation. 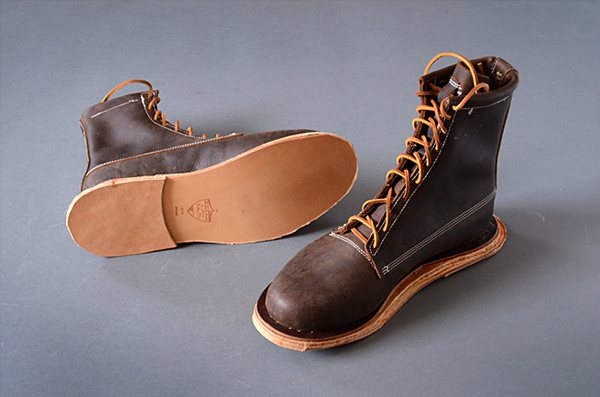 This Boot design incorporates a hybrid of classic Goodyear Welting with the adhesive construction methods to increase speed of production without compromising all the gains of a Goodyear method of fabrication. 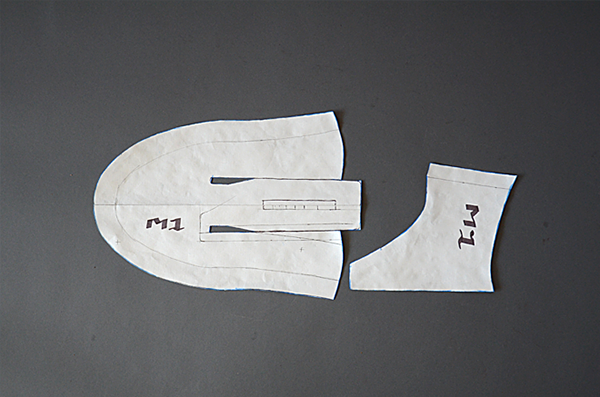 In efforts to target a highly efficient flat pattern, I came across this alternative approach of producing the upper. 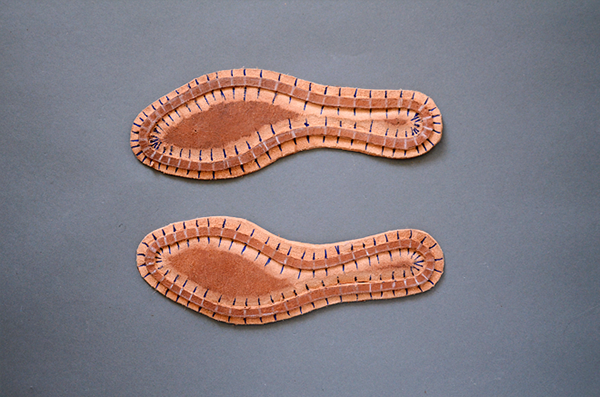 Instead of breaking the flat pattern into 4 different main sections (toe,left and right side walls, and tongue), this new flat pattern merges all 4 into one continuous shape. 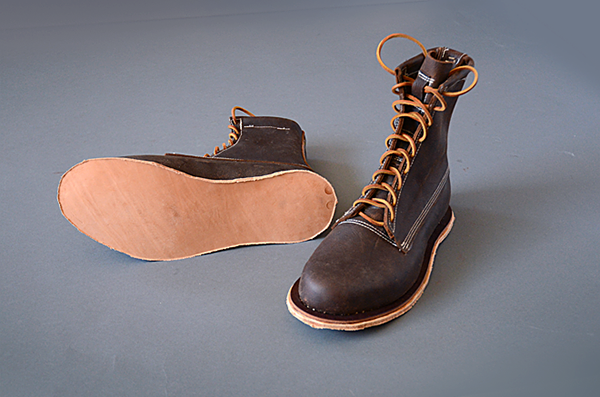 This one continuous shape makes the structured chassis for me to build up the boots height as high as I want to without compromising space efficiency. 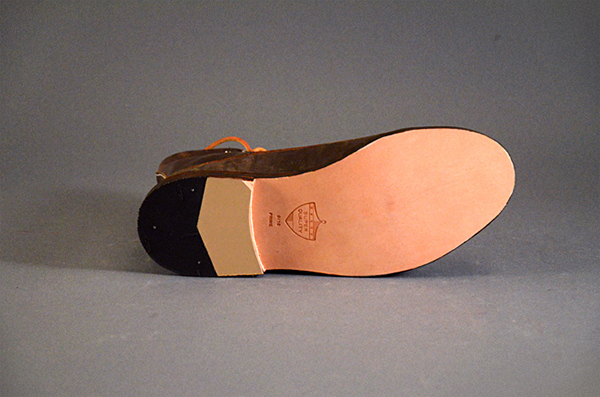 I discovered the unibody approach to the boot to be highly efficient as a flat pattern in square footage alone. 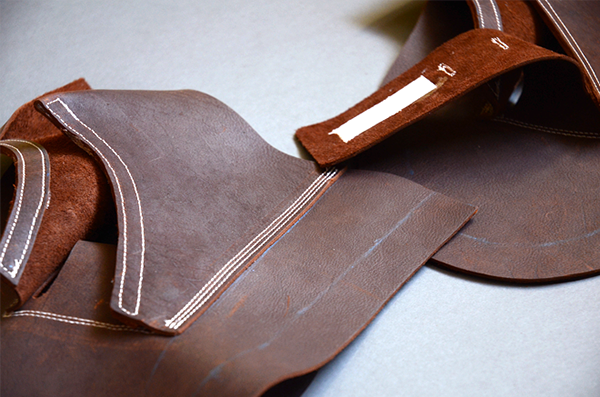 This method requires very little sewing work allows for less areas for water entry and seam failure. 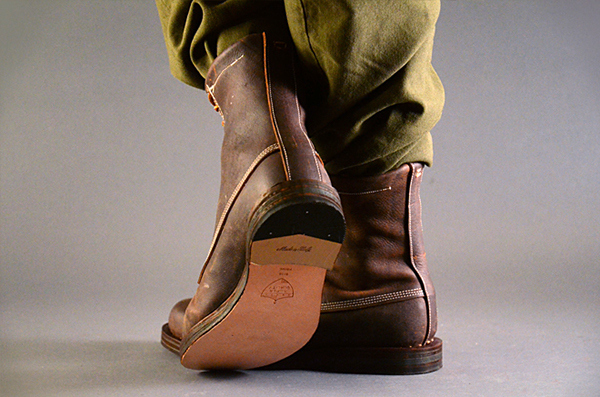 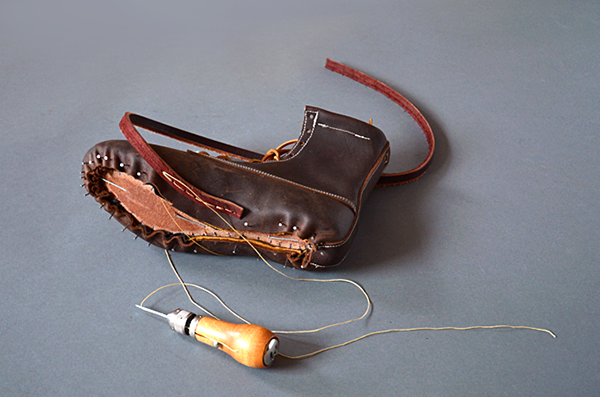 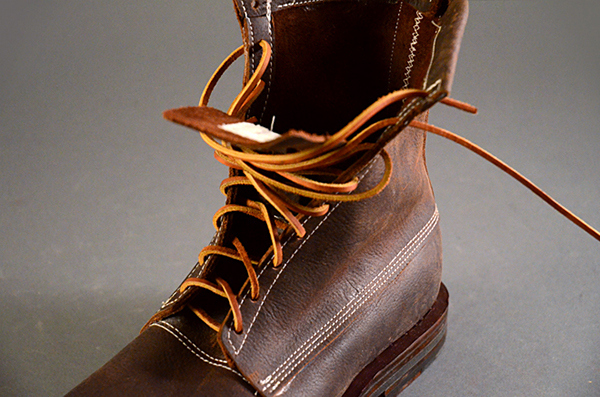 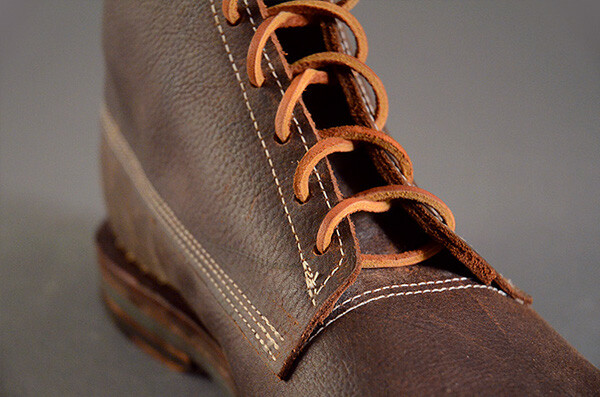 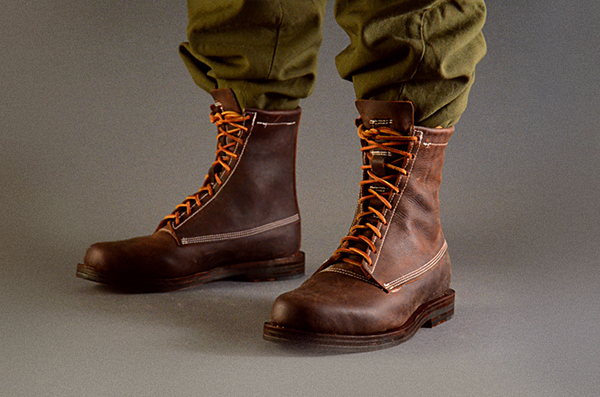 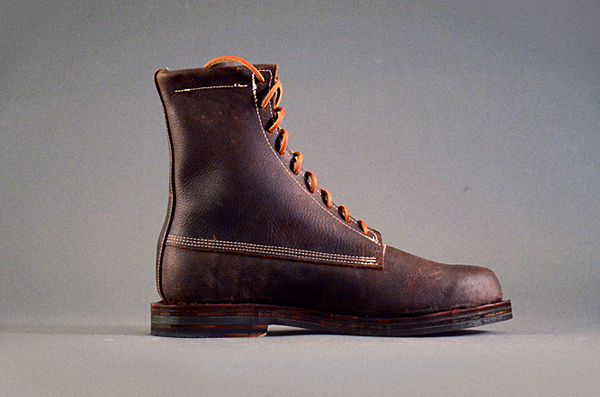 A properly made simple 8" long-lasting boot.